Prism-shaped and moderately weathered ordinary chondrite. 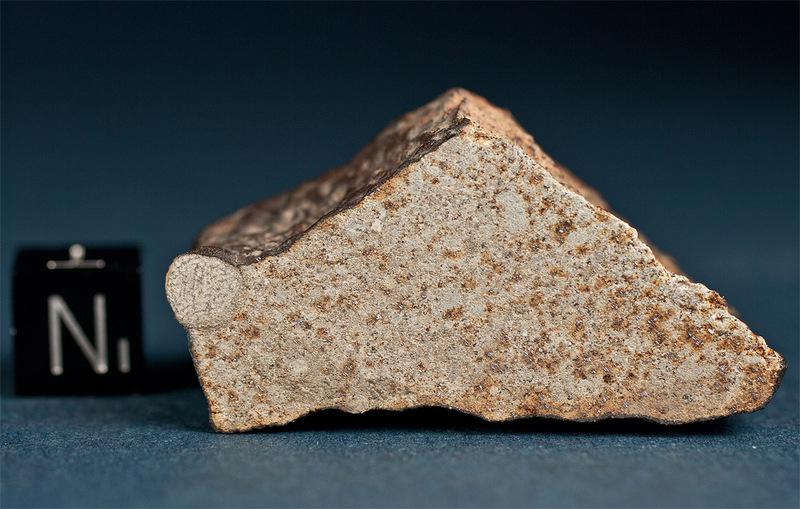 The meteorite features two surfaces with well preserved primary and one with secondary fusion crust. An additional fractured surface shows only traces of fusion. The NiFe aggregates visible on the broken surface developed small rust halos, but no patina has formed on this surface. After cutting of the sample, a megachondrule measuring 6 mm in diameter became visible. 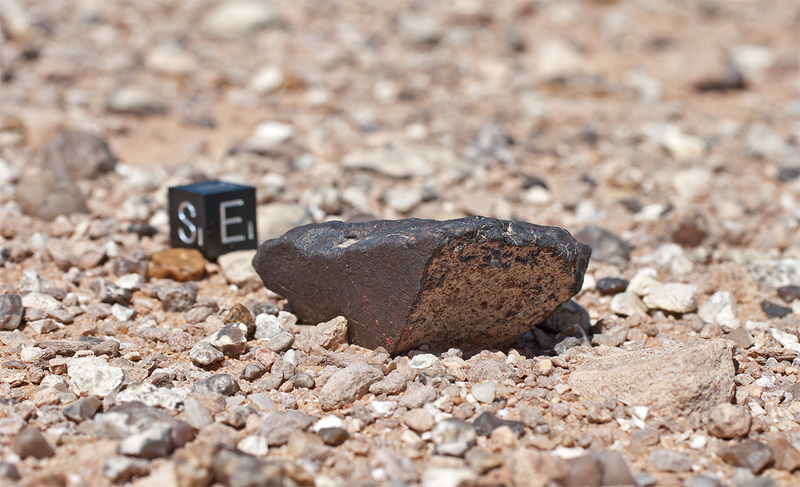 The lower photo shows the meteorite in situ. Bou Kra 003 was actually the 5th find in the new dense concentration area Bou Kra which was discovered by the Meteorite Recon team in 2010. Additional finds from the 2012 search campaign in the Bou Kra DCA are currently pending classification.